Please choose the amount of guests. There are 3 guest options to choose from. 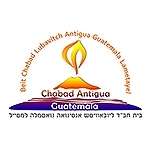 Supporter: I'm aware of the high costs that Chabad has and realise that it's hard for some people to pay cost price, therefore I would like to support Chabad to enable anyone to join the Shabbat meal. Subsidized: I can't afford cost price at the moment and I thank the supporters who subsidize the Shabbat meals. Are you able to help with an additional donation?